With clockwork precision, Ronimo Games has just re-released Awesomenauts as a free to play game on Steam. 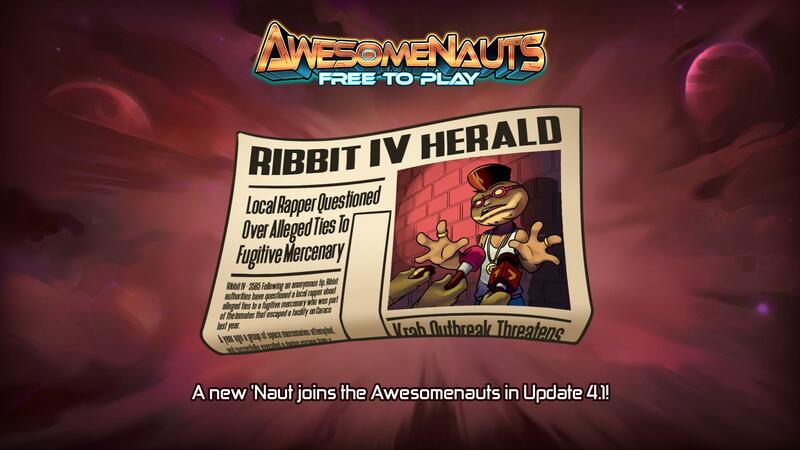 The developers said that this transition has been in the works for years – Awesomenauts was originally released as a buy-to-play game during 2012. This is the first step in a move that tries to breathe new life into this cartoon 2D MOBA, and it could use a player boost as these competitive multiplayer games depend on its playerbase to survive. Plenty of content is promised for the coming weeks and beyond, including a new character which will be released with the update 4.1. The full reveal is planned for May 31, and you can see the teaser image right below, after the Awesomenauts free to play trailer.